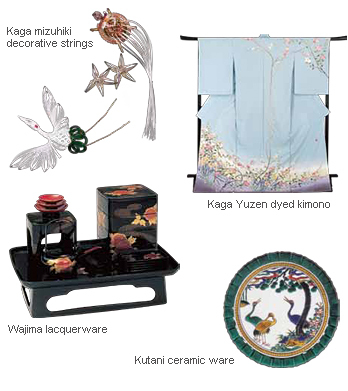 Superb traditional culture developed in Ishikawa Prefecture in the Edo period*, thanks to successive generations of lords who used their financial power to promote crafts. 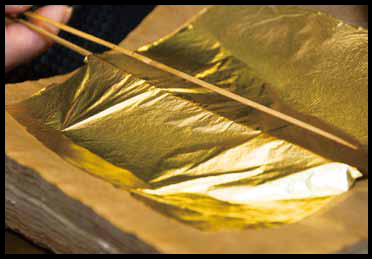 Traditional arts and crafts such as Wajima lacquerware, Kutani ceramics, Kaga yuzen dyeing and Kanazawa metal leaf (gold leaf) have been passed down through the generations, giving Ishikawa its reputation as a world-class center of crafts. 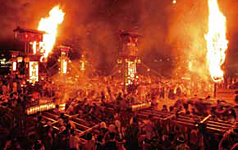 In addition, the prefecture's traditional performing arts such as Noh theater and traditional music and dancing have developed in a distinctive fashion. 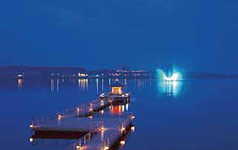 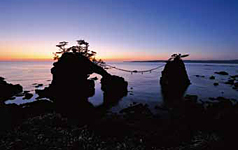 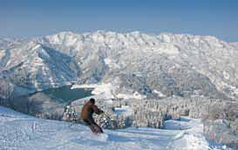 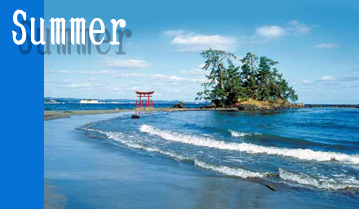 Ishikawa is an attractive place where one can still encounter the "real Japan". 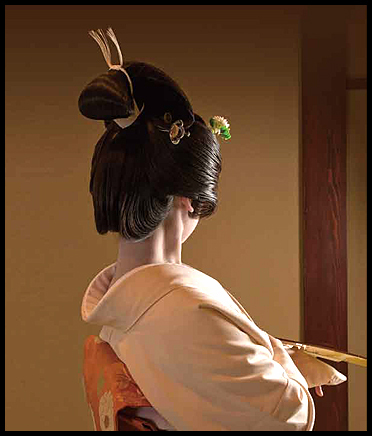 *Edo period (1603-1868): the period when Japan was ruled by the Tokugawa Shogunate. 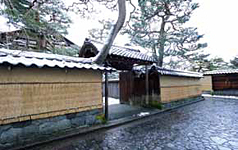 Local domains were governed by local lords under the Tokugawa family. 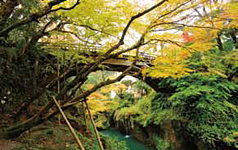 Ishikawa Prefecture, situated in the middle of the Japanese archipelago, has a varied topography that includes the sea, mountains and rivers, and offers beautiful scenery. 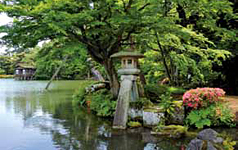 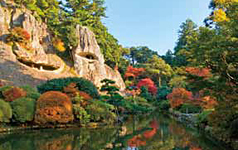 In addition, there are many sightseeing spots, including Kenrokuen Garden, which was given the highest rating by Michelin's Guide to Japan. 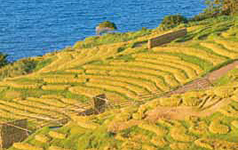 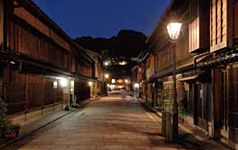 Distinctive historical buildings scattered throughout the prefecture give Ishikawa a historical and cultural flavor. 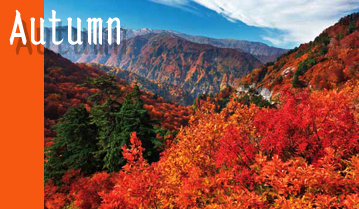 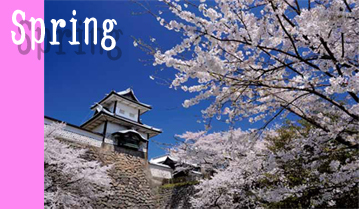 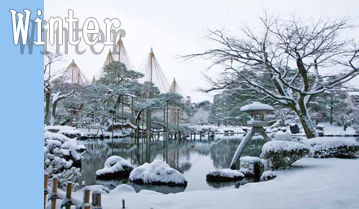 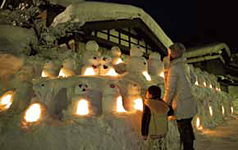 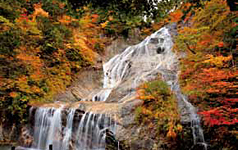 Since there are four distinctive seasons in Ishikawa, you can enjoy variations in scenery at different times of the year.